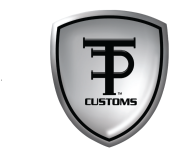 Tommy Pike is the owner of Tommy Pike Customs™ located in Greenville, South Carolina. Tommy’s love for cars and passion for telling their stories can be traced back to his childhood and attributed to his parents. Pike’s father, Thomas C Pike, Sr., was paramount in the teaching of work ethic and introducing the world of all things mechanical to Tommy. It was Pike’s mother who gave him the first nudge to increase his personal touch and expand into customs. Since his beginnings in the industry, Tommy, together with his wife, Stephanie, have grown their business tremendously. 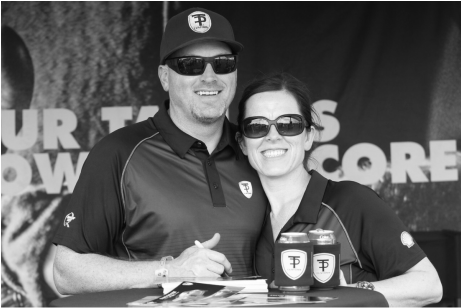 When Tommy is not putting the “TPTouch” to a customer car, or sharing his finished cars at events, you will find him spending time with his wife and their son, Thomas Clarke Pike, III “TP3”. "In his 30,000 square foot shop, on Rutherford Road, there are cars and trucks from virtually every era. In one corner there is a brand spanking new Porsche waiting for Pike to deliver those special touches that will make it just unique enough to please its California owner. Outside is a 1972 Chevy C-10 pickup truck Pike restored/customized as part of a giveaway following a national contest sponsored by Quaker State. Back inside there is a shiny red Thunderbird with a white top that was just yelling “take me home” to everyone walking by."